Sometimes rebuilding is more cost effective than repairing. Please note that as of August 2013 I am no longer able to do jewellery repairs for new customers. I offer full restorations and remodels but do not do repairs. For any items purchased from me the full repair service, free cleaning and warranty is of course unchanged. 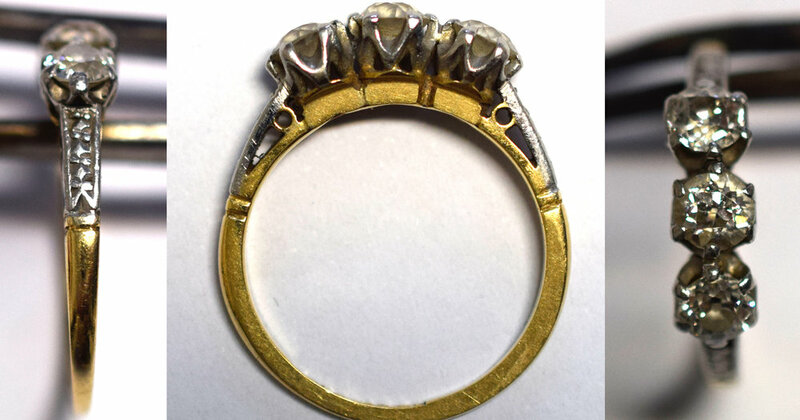 This article is left here for those who would like to read some advice on where and whom they should get to repair their jewellery. 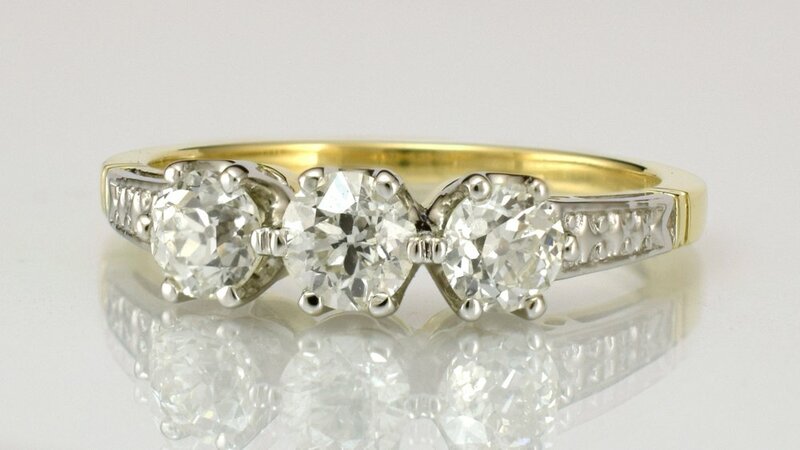 As my existing customers will know I place great importance on servicing them as well as I can and the recent influx of repair requests for jewellery items purchased elsewhere is restricting the time I can offer them. I have no desire to employ staff or to delegate repair work so with a limited number of hours in the week something had to go and repair work on jewellery purchased elsewhere is it. I recommend where possible that you use the person who sold you the piece of jewellery to have it repaired. much of the jewellery sold at the jewellery chains is not cost effectively repairable. preferably deal with a real jeweller, a person who is qualified to make jewellery. deal directly with a qualified jeweller. for the repairs to be done by the same person. for your jewellery to be away from you for as short a period of time as possible. I am however one person and my days are usually booked out in advance. Because of this you will need to book an appointment to see me. All of my customers are treated equally in priority and most of them are regular long term customers. This means that no matter how small a job may appear I will not put it in front of jobs that I have already committed to. That said for small repairs I do try to make appointments for quotes on days that I can actually do the work. For example, if you wanted a ring resized I would try to make an early morning appointment with you to look at the ring and give you a quote. If the quote was accepted I would then resize the ring that day where possible or usually at the latest by the next working day. One final point is that for most repairs I cannot give quotes until I see the jewellery. If your jewellery is not important enough for you to go to the trouble of making a free appointment to meet with me and discuss it, then I am not the jeweller for you.